Delhi- known as the capital of India invites people from the different region to start their career or to earn a hard living. The population of Delhi itself is a live example of transfers and shifting from outer region. 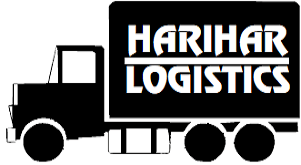 Harihar Logistics is the best Packers and Movers in Delhi offering awesome shifting experience within pocket budget. This unique relocation company in Delhi helps the clients with proper planning, strategy, execution, implementation and tracking the shifting process. Day-by-day, Harihar Logistics growing faster as trusted Packers and Movers Company in Delhi and all credit goes to our hardworking technical team who are striving hard to offer best of the solutions. So if you are planning to relocate from Delhi or to Delhi, Harihar Logistics Packers and Movers will offer tailor-made packing & moving solutions in Delhi. The company will take care of all the relocation needs related to house shifting, commercial transfer or industrial goods. The bunch of services included in our packages is Packing material and packing labor charges, loading & unloading labour charges, warehousing charges, transportation charges, car & bike carriers, duties & taxes, Toll charges etc. Huge transparency is maintained to build trust and to have our contact number in clients' Diary. Get cheapest tempo on hire in delhi for luggage shifting and home relocation.We are providing tata ace/chota hathi on rent in delhi at affordable prices.Our professional packers are trained and qualified enough to identify the right packing material and to make it sealed for transportation. They do take safety measurements to avoid the risk of damage & loss from Natural Calamities, dust or road transportation. Packing material may include bubble wrap, papers, adhesive tape, wardrobe boxes, wooden boxes, thick sheets and other boxes compatible with the household and commercial stuff. Harihar Logistics Movers and Packers in Delhi never compromise with the quality to earn maximum profit. Packaging crew has the professional expertise to unpack the material with great ease and comfort. If doorstep packing & unpacking services are available at your doorstep in Delhi, then what the need to worry is, Just sit relax and perform further chaos. If you want to hire Packers and Movers from delhi to Mumbai, Chennai, Hyderabad, Bangalore, Kolkata, Ahmedabad, Trivandrum, Pune, Chandigarh, Port Blair contact on 9212312368 for cheapest and competative quotes for packing and moving of goods. Loading & unloading the physical goods from one place to another place is always troublesome and risky as there are chances of breakage. Leave your worries!! Harihar Logistics has its own expert loading & unloading labors who will carefully load the materials on heavy vehicles or trucks and vice versa. Harihar Logistics has its own warehousing channel partners and all are professionally managed & secured. Each warehouse equipped with the inventory manager with the dedicated working system to maintain the systematic record of the inventories passing through the warehouse. Installed CCTV surveillance ensures more safety & security. Get the benefit of well-maintained storage/ Godowns / Warehouses in Delhi & across India. Bike/car or other commercial or residential vehicle comes under the car carrier services which are facilitated with the container based heavy transports especially designed to carry vehicles. Before transporting the vehicles from one place to another, proper packaging is ensured to avoid dust, scratches or any damage. Professionally trained drivers execute the car transportation work safety compliances. Relocating to or from Delhi? Hire Harihar Logistics Packers and Movers in Delhi for holistic relocation services for household, commercial & industrial goods. Yes, we can give thousands of reasons for choosing Harihar Logistics as your best relocation partner in Delhi. As far as our services concern, Harihar Logistics offer the wide range of services like packing & unpacking, labeling, loading & unloading, local, domestic, national & International relocations, car carriers, warehousing facilities. The other biggest reason is its comparative pricing. Harihar Logistics maintain the huge level of transparency and segregate the prices as per the actual only. Having a worldwide network, Harihar Logistics is able to offer doorstep services with secure storage solutions for national & international shifting & relocation solutions in Delhi. Latest technology, updated vehicles, competent & loyal staff, and a combination thereof are elevating the quality & standard of our Packers and Movers company in Delhi. Although the company follows the professional guidelines & legal compliances to safeguard the interest of both the parties, we give the personal touch to all the movement process to add more safety & security. Nothing is done in hurdle, a prior inspection is arranged to check the materials to be shifted, a roadmap is designed, shared with clients and implemented according to after getting the consent of the respective client. Delhi may be called the hub of Packers and Movers, Harihar Logistics offer something different to fulfill the commitment and client's expectations. Let us help to be a paramount Packers and Movers company in Delhi by giving right suggestions and feedbacks. Check our services, evaluate the quality, compare the prices and select us as your Packers and Movers solutions in Delhi. Just write us or message us and our representative will call back to you.